You'll love this sweet addition to your home decor designed by Buttermilk Basin! 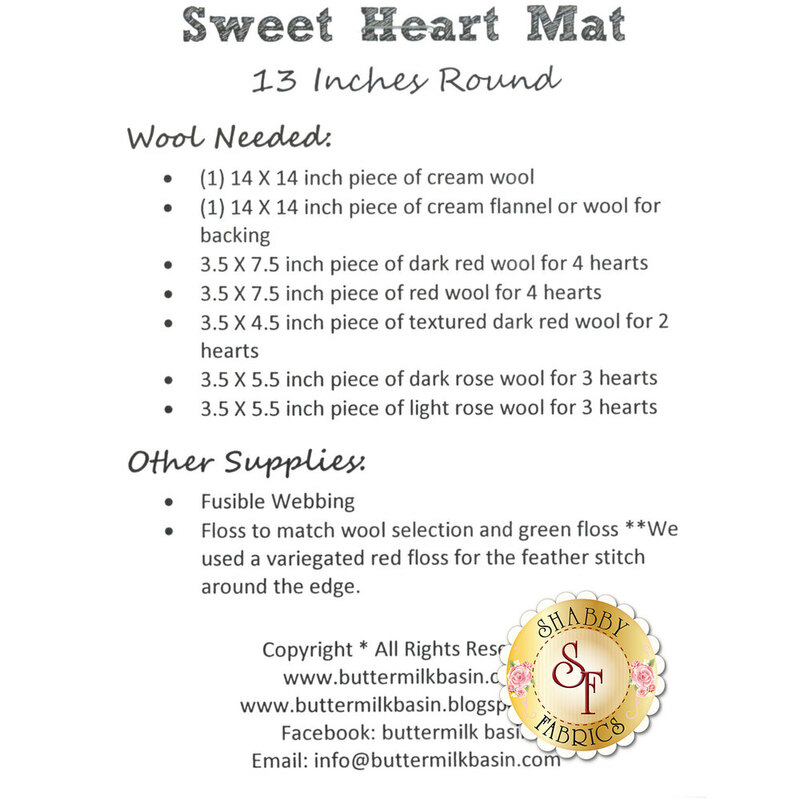 This 13" round mat features adorable red and pink hearts and a hand embroidered border. Pattern includes all instructions to complete this project.